Overwhelmed? Tired? Can’t say “no” when you want to? Then say “yes!” to Self Care for Real Life! 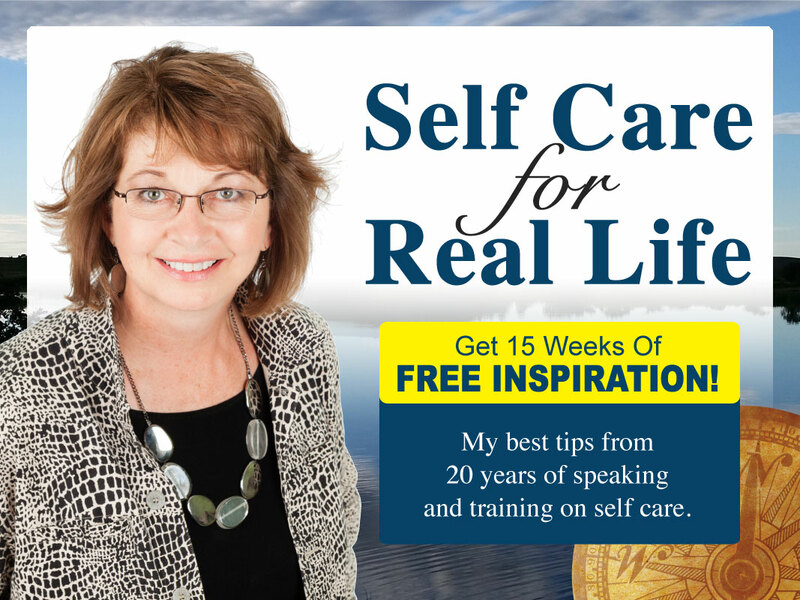 Get Dee Dee’s FREE 15 weeks of inspiration, tips and strategies for going from overwhelmed and tired to in charge and relaxed. Fill out the form today and receive your first issue Monday! Dee Dee's desire to help others, her engaging communication skills and incredible ability to tell a story make her an outstanding motivational speaker, business consultant and meeting facilitator. She has inspired thousands of people to improve their lives through her empowering presentations, and helped companies across the nation reach their greatest potential.